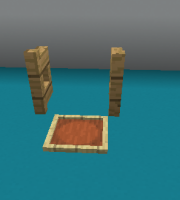 Item frames can be placed on the floor whilst the fence gate is open. 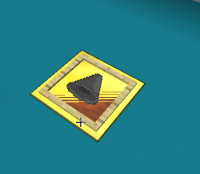 However when its closed, the item frame cannot be placed. 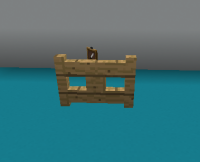 If the item frame was put on the same block as the fence gate whilst it was open and then you close it, it takes a few seconds to re-drop the item frame. This also applies to redstone dust and trapdoors. You can place redstone dust and item frames in the same block. 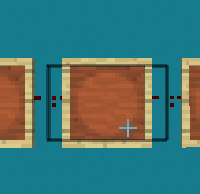 If you place the redstone first then the trap door, they will both be in the same block. The trapdoor way also works with chests and redstone including pressure plates and item frames.